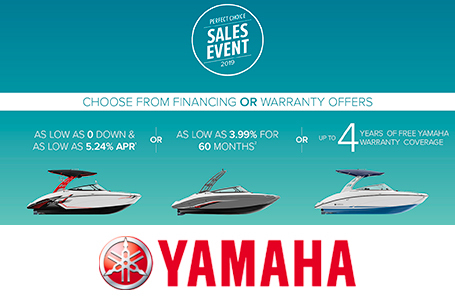 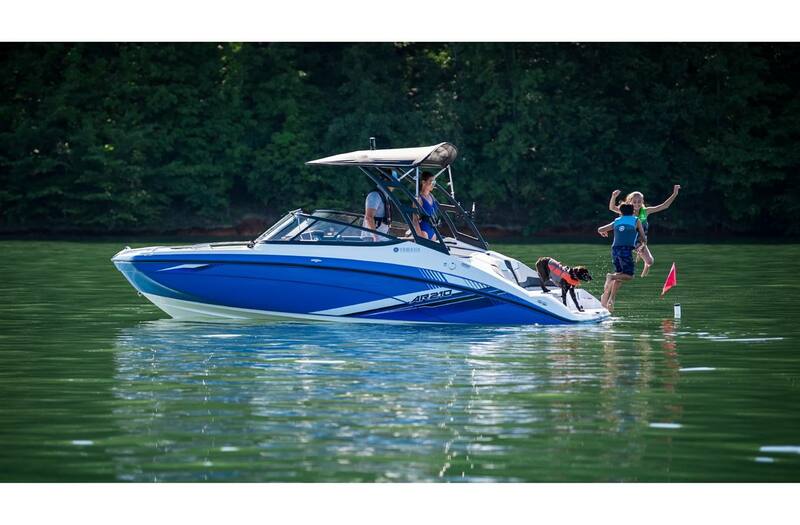 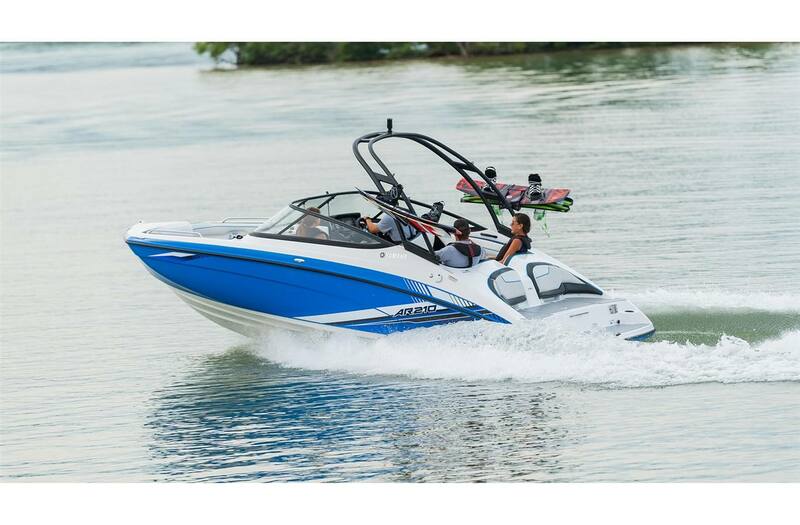 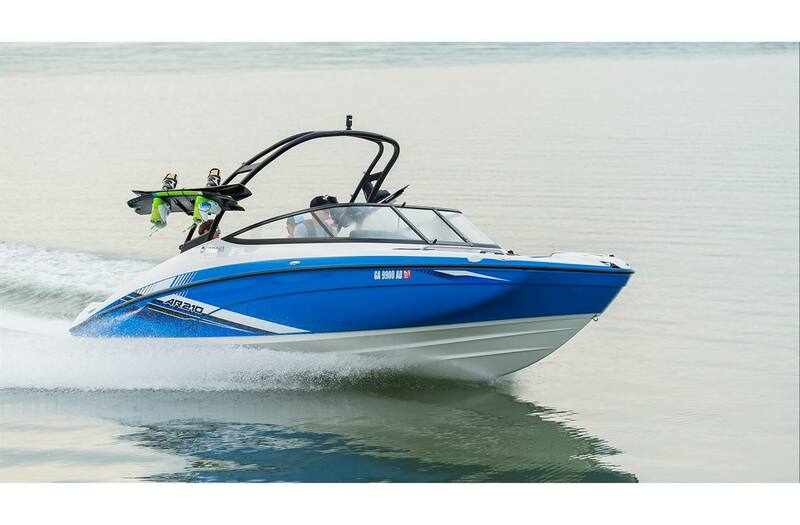 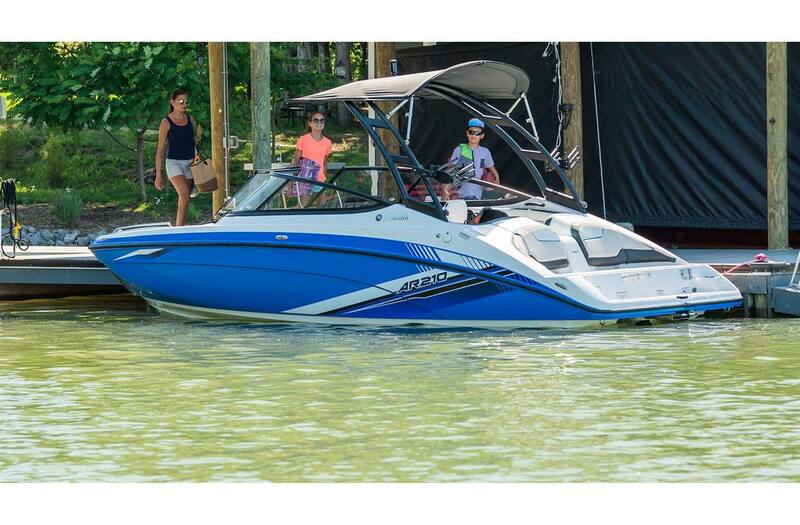 Cockpit Seating: Yamaha's 210 Series offers seating for ten. 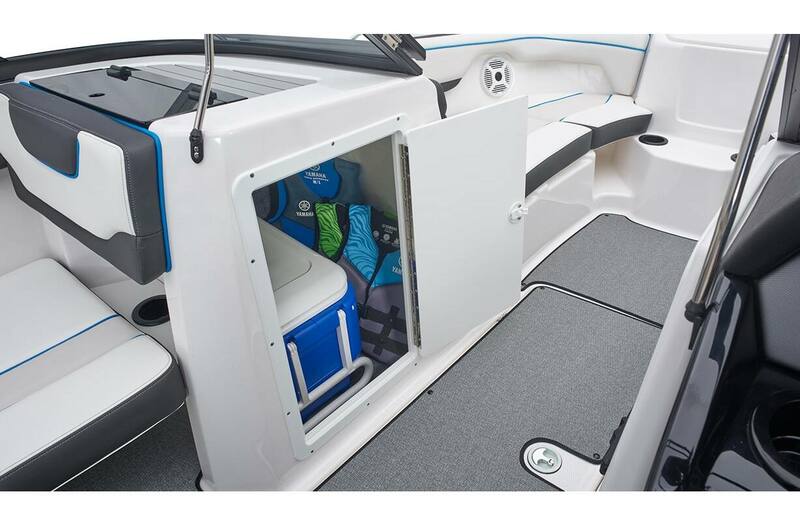 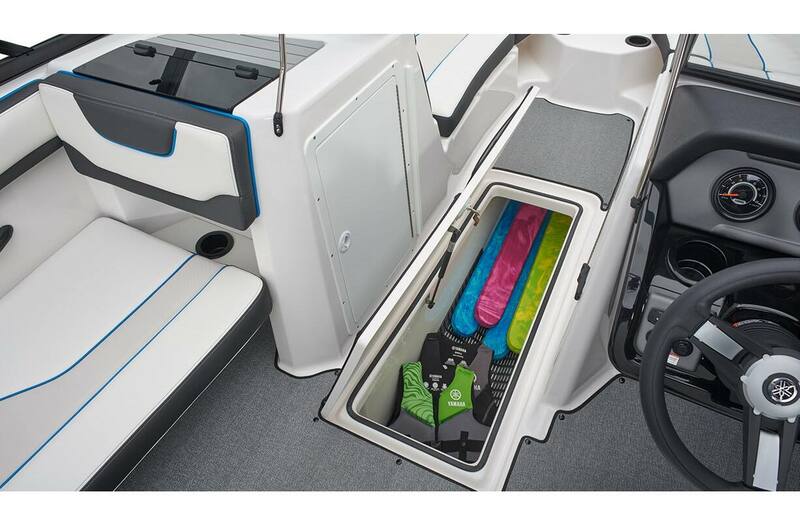 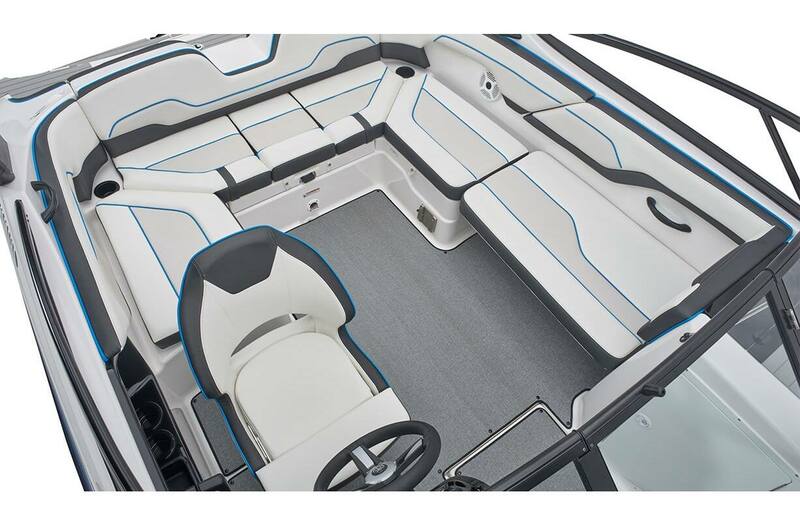 Storage: Plenty of storage options including this easy-to-access area under the portside seating. 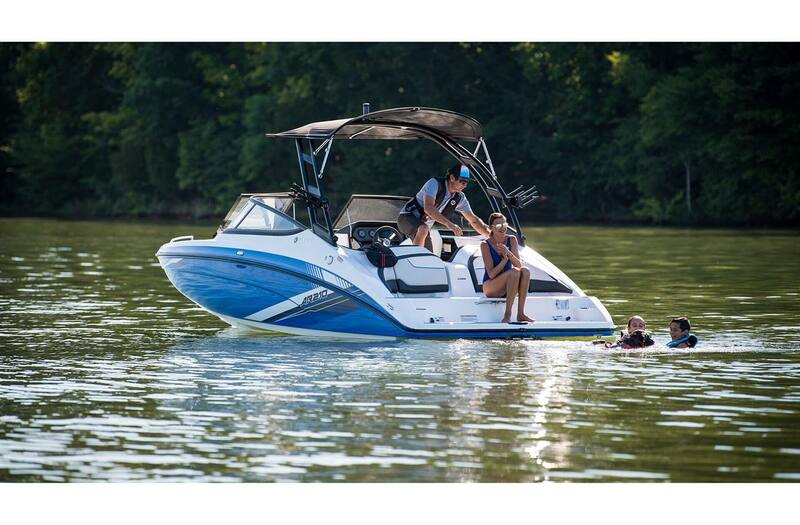 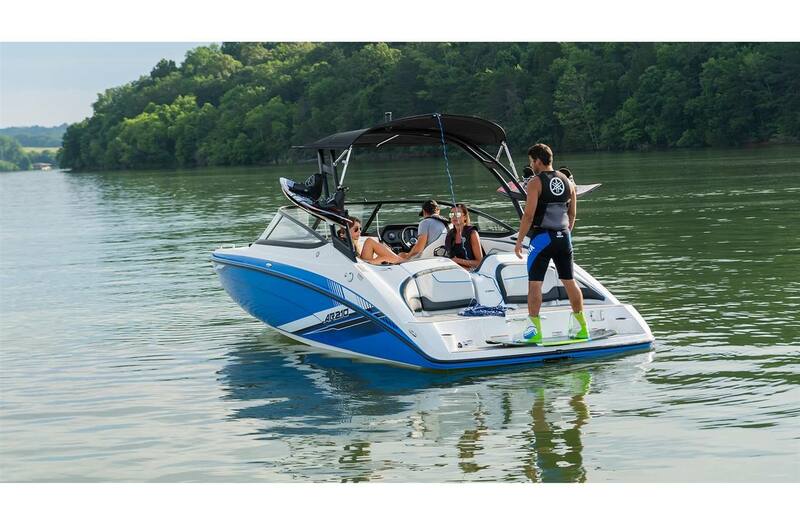 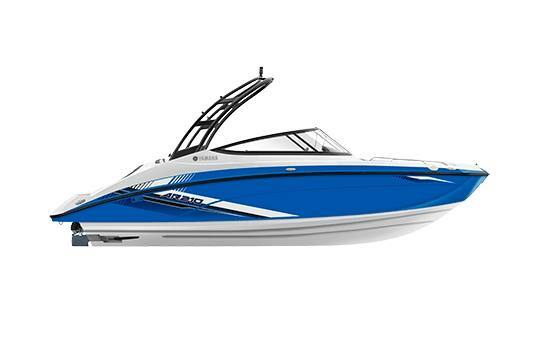 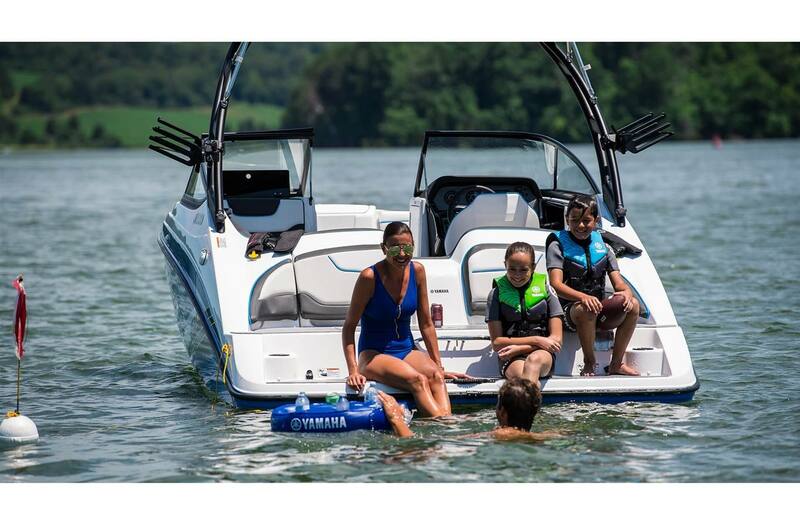 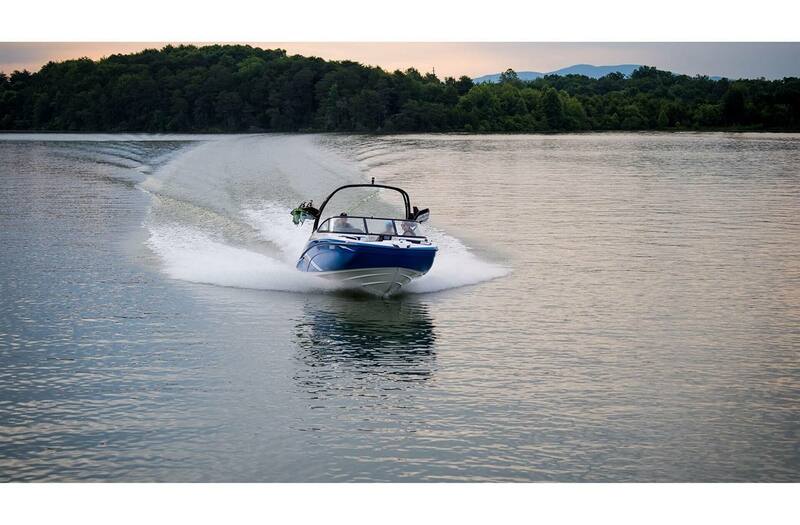 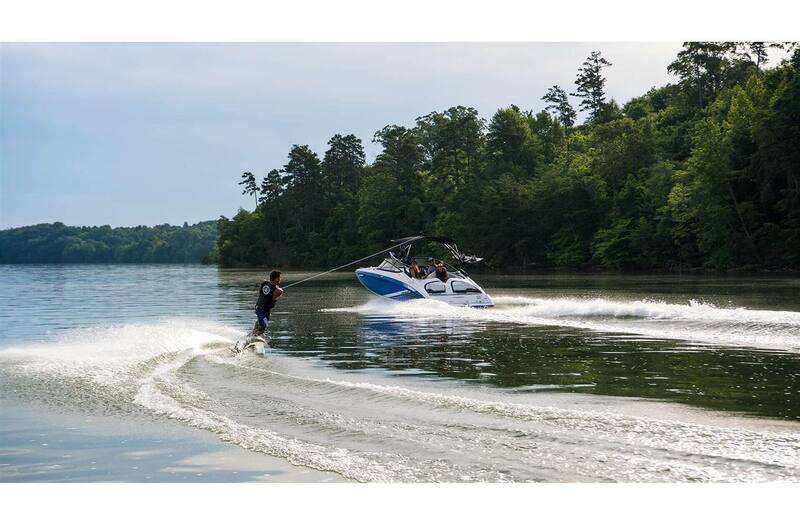 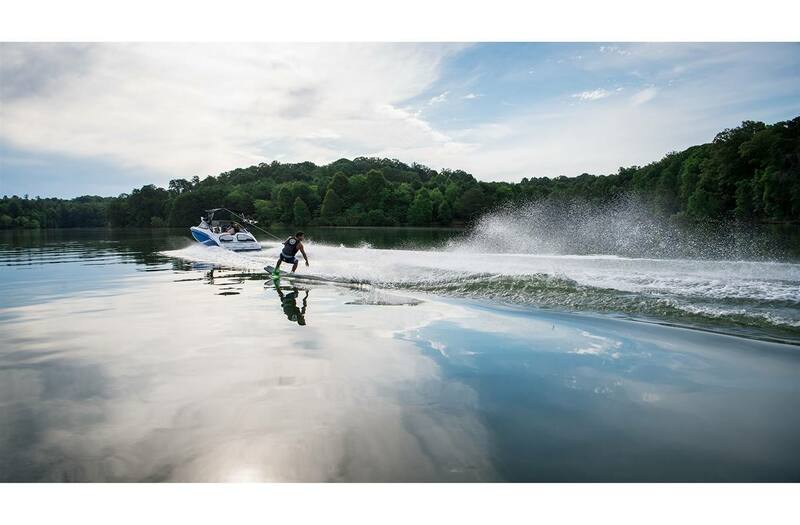 Forward-Swept Tower: The forward-swept aluminum tower is perfect for all types of watersports. 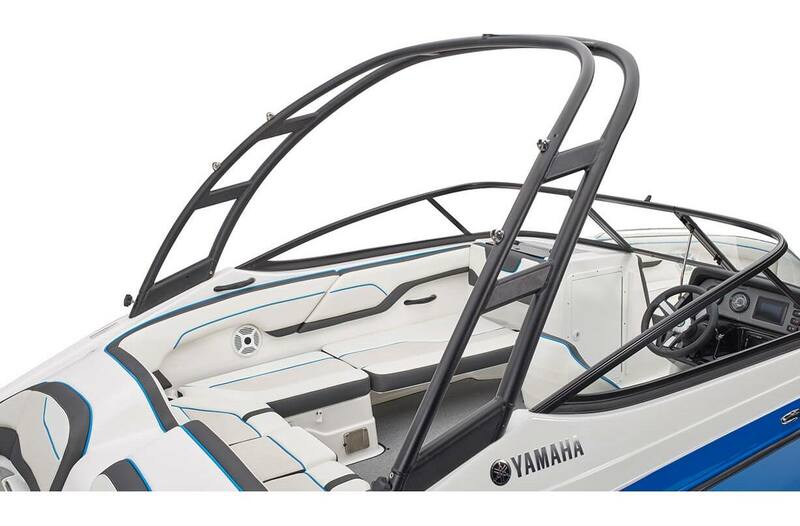 In-Water Height (Bridge Clearance): 7 ft. 8 in.